Here is the list of most frequently asked questions and their answers. If you have a new question, you can fill out the form below and I will reply as soon as possible. Happy baking! What is Ener-G egg replacer and where is it available? One of the many questions that I get on a day-to-day basis is "what is Ener-G egg replacer and where is it available". I thought that it was high time that I addressed this question here instead of replying to each and every mail individually. Read more about Ener-G Egg Replacer here. Like whole wheat flour, whole wheat pastry flour too is a whole grain flour meaning that whole wheat-berries are milled to obtain the flour. 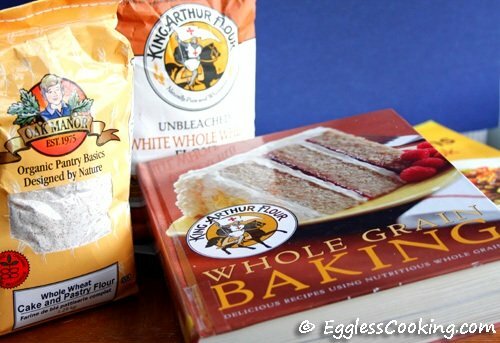 Unlike its refined counterpart (all-purpose flour), whole wheat flour is not devoid of the bran and germ making it more nutritious. But the question is how is whole wheat pastry flour different from whole wheat flour? The answer is simple. Read more about whole wheat pastry flour here. How to make unsweetened applesauce? I get the following questions quite often, especially from readers in India. What is applesauce? Where do I find it? What is the substitute for applesauce because I don't get it here? As the name implies applesauce is sauce made out of apples. Simple, isn't it? It's just that. It's nothing other than cooked and pureed apples. In the US and Canada we have the luxury of getting it ready made from almost any grocery store. We get it sweetened, unsweetened and in very many flavors too. It comes in big bottles, small snack size cups and organic too. You should be able to locate it the aisle where canned fruits are shelved. If you decide to buy it, I would recommend getting the snack cup size instead of the giant bottles because no matter how carefully you store the jar, it ends up getting all moldy. I have tried it too many times and ended up throwing a lot of applesauce. It's just money down the drain. To avoid all this wastage you could simply prepare unsweetened applesauce at home in small batches as and when required. Check out my recipe for homemade applesauce and prepare it at home in no time. How difficult can cooking and mashing apples get? So now you get it right? There is no need for a substitute for applesauce because you can very well make it at home yourself. If you still want to substitute because you don't have apples, any other fruit puree should be fine. Except for bananas you would have to cook and then blend the fruit you intend to use. Some alternatives for apples can be pears, peaches, mangoes, apricots etc. 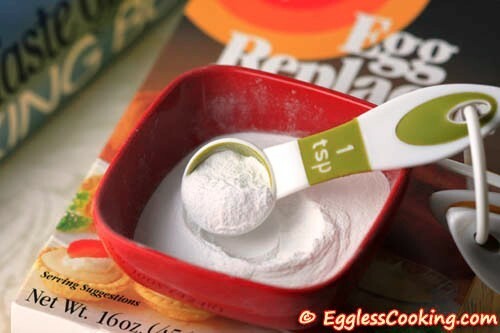 What is the difference between baking soda and baking powder? When to use which? Check out the detailed page on this question.